Zeitgeist Movement chapters need to balance activity in at least 3 main areas, which include Activism, Learning and Relations. These activities can take the form of various types of projects and meetings, and ways in which to allocate time and resources. Activism - Zeitgeist Movement chapters generally have two forms of activism, helping with the mindset change and physical activism/labour. The mindset activism is usually in the form of handing out DVDs, running film screenings, and town hall meetings. It is also one of the more important processes for gathering new members and affecting the culture and community around the chapter(s). The main mindset change happens when people understand the different values, definition of success and change in the defaults that we want to achieve. Many of the newer ZM members get annoyed at the lack of physical activism. As a movement we are only just starting to reach the point at which creating tangible change is an option. Some great examples would be converting existing people's lawn area into gardens, creating eco-village style setups which run on renewable energy and are progressively automated to the point they are creating an abundance of produce. An important requirement for the price of zero transition. Learning - Furthering our understanding of the ZM but also the world around us. From the latest in science, to the history of economics, to current news. It also covers research and analysis, particularly with regard to how to do things more efficiently and effectively or in other ways. Learning is divided into two main sections: personal learning and chapter learning. Personal learning is particularly focused on reaching an understanding of how the world works, the issues with the current system, and the solutions (the RBE). This is usually done through watching movies, being a part of a mailing list, reading articles, creating newsletters, and attending or giving presentations. Relations - This is about internal chapter relationships and relations with other organisations. A very important motivator for continuous membership is the social aspect of being surrounded by other people who care about and understand them. This sense of community is fostered by holding social meetups, like BBQs, or casually meeting up at a bar. The relations between chapters and with other organisations are also very important. 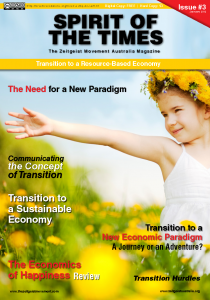 The potential for the Zeitgeist Movement to foster a transition to a Resource Based Economy is facilitated by creating strong ties with other RBE advocating groups and organisations such as Beyond Zero Emissions (in Australia). As an example, the table below lists of some projects being undertaken or planned in Australian ZM chapters. Some projects are listed twice as they have pronounced secondary effects, which are coloured in grey. On top of the three different buckets that need to be balanced is the almost constant review and admin work. The regular review process could for example involve reading your posts, emails, and behaviour for the last week and allow you to both fix up mistakes and give you feedback regarding how to do thing better next time. A group review process should also be on the agenda of the next ZM meetup after an event (e.g Zday, ZMedia Festival).